Depending on the situation, staying warm can be difficult. Even in a home with a good furnace, there can be places that don’t get good coverage or areas that have no heating at all. For situations like these, having a good space heater can be really nice. You can add a little heat to the area where it is needed and it won’t add too much to the electricity bills. One model that is really good for heating a small area is the Vornado VH101 personal space heater. 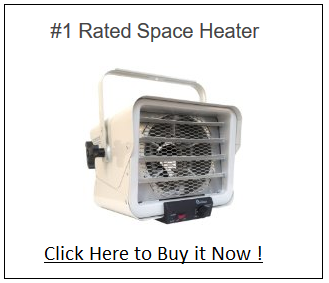 If you are shopping for a space heater, you will find that you have a lot of options to choose from. You can get larger models that can heat entire rooms and there are smaller ones that can be good for heating a small space. On top of that, you also have a range of features that you can choose from. To get a model that will fit your needs, it will help to look into the features and specs of the different machines that are available. The Vornado VH101 personal space heater is a good little heater that can definitely add some warmth to a room. It heats up quickly and the fan helps to move the heat around the area. This model is very easy to use and it has two convenient settings for high and low heat. It also has a fan only setting that makes this model good for use all year round. This machine is nice and small and that means that it can be taken just about anywhere and it can also be good for placing on a desk or counter. It provides reliable operation and a good amount of heat in a compact package. The one thing that consumers should be aware of is that this is not really a full room heater. It is good for heating a small amount of space for one or two people, but it probably will not do much for a large living room or bedroom. For those looking for a heater that can get a full room heated, check out the Lasko 751320 Ceramic Tower Heater or the Vornado MVH Whole Room Vortex Heater. What is the personal space heater from Vornado good for? 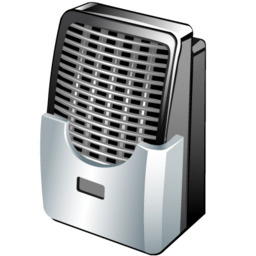 As a portable or desktop heater, this model should satisfy the needs of most consumers. You are not going to heat an entire floor of your home with it, but that is not what this machine is designed for. If it is a little cold in your office, you can point it at you to stay warm or it could be good for keeping the occupants of a couch warm while they are watching TV. For the heating needs of a small area or a single person, this machine is perfect. It is light and easy to carry and it will have the user feeling warmer in a matter of no time. The Vornado VH101 personal space heater is convenient, reliable and it comes at a good price, so that does make this machine a good value. CeramicHeatersReview.com, May 23, 2016. Category: All Heaters, Vornado. Tagged: Vornado VH101, Vornado VH101 Heater, Vornado VH101 Personal Space Heater, Vornado VH101 Personal Space Heater review, Vornado VH101 review.